Fill out form below to email us! Dr. Frances Robbins offers professional, compassionate neuropsychology services that help you get the care you need. Neuropsychology is a healthcare specialty focused on understanding relationships between brain function and behavior in daily living. Dr. Robbins evaluates head injuries, learning and attention problems, psychological problems and conditions associated with strokes, seizures and substance abuse. These evaluations help with decisions about appropriate treatments or accommodations. Dr. Robbins obtained a Master’s degree in Counseling Adults and Adolescents from Boston College in 1991. During that time she spent 5 years working with residential head injured patients and completed an internship with this population. She completed a Doctor of Philosophy degree in Counseling Psychology from Northeastern University in Boston in 1997. As part of this program, she completed an internship in pain management at Spaulding Rehabilitation Hospital in Boston and a Pre-Doctoral Internship at Tewksbury State Hospital in Massachusetts. After graduation from her doctoral program, Dr. Robbins completed an American Psychological Association approved residency in clinical neuropsychology through New England Medical Center’s training program. Dr. Robbins is a Fellow of the American College of Professional Neuropsychology (FACPN) and the American Board of Professional Neuropsychology (ABN). Dr. Robbins has a private practice with a specialty in general clinical neuropsychology in Flagstaff, Arizona. She has been at this location since 2001. 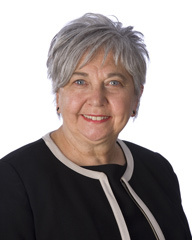 She specializes in evaluation of head injuries, learning and attention problems, the effects of medical conditions, such as strokes and seizures, the neuropsychology of complications due to alcohol and substance abuse, complex cases involving both medical and psychiatric problems, and Fitness for Duty Evaluations. Dr. Robbins has Allied Health staff privileges at Flagstaff Medical Center, Verde Valley Medical Center and Mountain Valley Regional Rehabilitation Hospital. She also consults to a number of community agencies and nursing homes. It is one of the healthcare specialties in the clinical neurosciences and a specialty in clinical psychology. Its focus is on understanding the relationships between brain function and behavior in daily living. Its purpose is to provide information to the client, doctors and other professionals, families, schools and other agencies about an individual’s strengths and weaknesses in thinking and about interventions, treatment, therapies and accommodations that would be effective in serving the individual’s needs. For more information, contact Dr. Robbins’ office at (928) 774-7778. It is a unique and comprehensive assessment of multiple brain functions and how an individual’s abilities or impairments affect thinking, behavior and day-to-day living. The tests typically include several measures of general cognitive function, attention, language, visuospatial function, memory, executive function, and motor skills, emotional behavior and personality. A person’s test performance is usually compared to that of others their age. A typical evaluation takes several hours of face-to-face contact plus several additional hours of test scoring, interpretation and report preparation. The assessment may be customized to address specific questions for the individual client. Additional tests may be included to gain more information about a particular area of strength or weakness. Can Dr. Robbins Help Me? Dr. Robbins receives referrals from physicians (e.g., neurologists, neurosurgeons, psychiatrists, etc,) and community agencies for the purpose of documenting their patients’ cognitive and emotional concerns. Upon recommendation from a physician, Dr. Robbins will meet with a patient for an evaluation. Neuropsychological evaluations are completed by a clinical neuropsychologist. This is a psychologist who has additional formal training and expertise in disorders associated with brain dysfunction. Neuropsychologists are familiar with cognitive patterns associated with the differential diagnosis of disorders of cerebral dysfunction, such as dementias, head injuries, strokes and other brain damage from neurological disorders, learning and attention problems, alcohol and substance abuse. Neuropsychologists frequently work in medical hospitals, rehabilitation facilities or in private practice. With an advanced doctoral-level degree and fellowships in clinical neuropsychology and other work experience over the past 20 years, Dr. Robbins brings expertise and compassion to her practice. Is Neuropsychology covered by my insurance company? Dr. Robbins accepts most insurance plans. Medicare and Arizona Health Care Cost Containment System (AHCCCS) are usually accepted. A physician referral is usually required, and a neuropsychological exam is deemed medically necessary in order to receive insurance coverage. What Will My Evaluation Be Like? A neuropsychological evaluation takes many hours and you will need to arrive in the morning and plan for rest and lunch breaks. You will need to bring eyeglasses, hearing aids or other equipment that you need to do well on the tests. 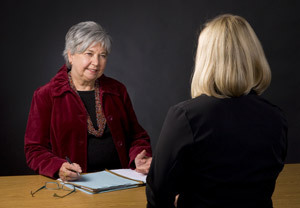 You will talk with the neuropsychologist about your problems and concerns. You will also be asked to give your medical, family, work and education background. You will be asked about your present medications. You will spend several hours doing tests of various types. Most of these will be done at a table or desk. They will consist of asking questions, having you draw, solve puzzles, do motor tasks and think and remember. As part of your evaluation, you will also be given psychological tests to determine if there are emotional factors affecting your thinking. There will be NO needles, X-Rays, or other medical tests. After you leave, the doctor will prepare a report with the results of the assessment and recommendations. Most of the time the doctor will review these results with you. When that is not possible, due to distance or other reasons, your doctor or your counselor will be able to go over their report and give you a chance to ask questions. If it is recommended, you may return for a re-evaluation once you have had treatment or your think things have changed. Dr. Robbins receives referrals from physicians (e.g., neurologists, neurosurgeons, psychiatrists, etc,) to help document their patients’ cognitive and emotional concerns. Dr. Robbins specializes in evaluation of the neuropsychological effects of medical and psychological problems and performs Fitness for Duty Evaluations. Servicing patients from Flagstaff, Williams, Sedona, Verde Valley, Kingman, Navajo & Hopi Nations, Bullhead City, Show Low, Holbrook, Joseph City & all of Northern Arizona.